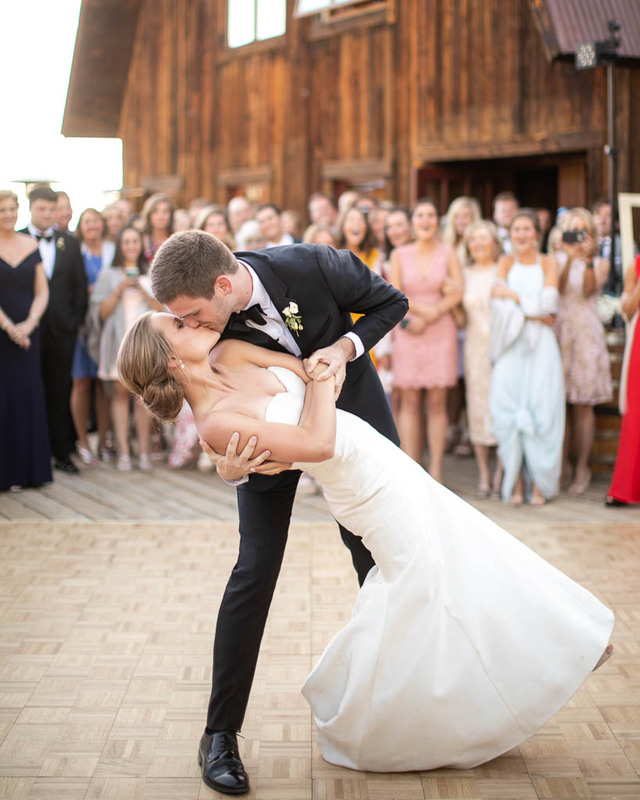 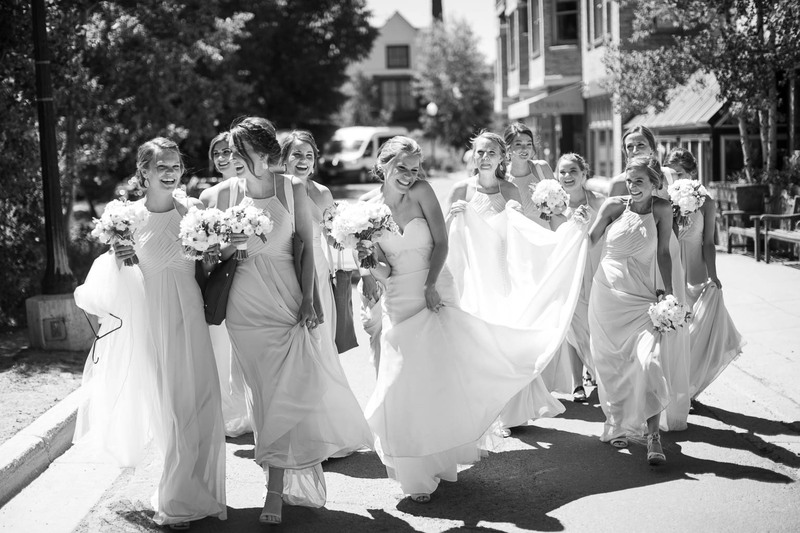 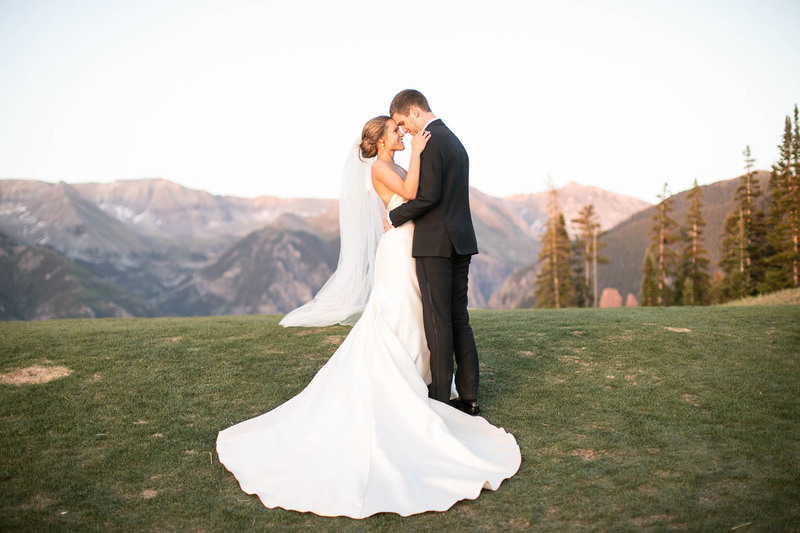 Since they got engaged in the mountains, Hailey and Daniel were excited to welcome their loved ones to Colorado for a picturesque summer soirée in Telluride. 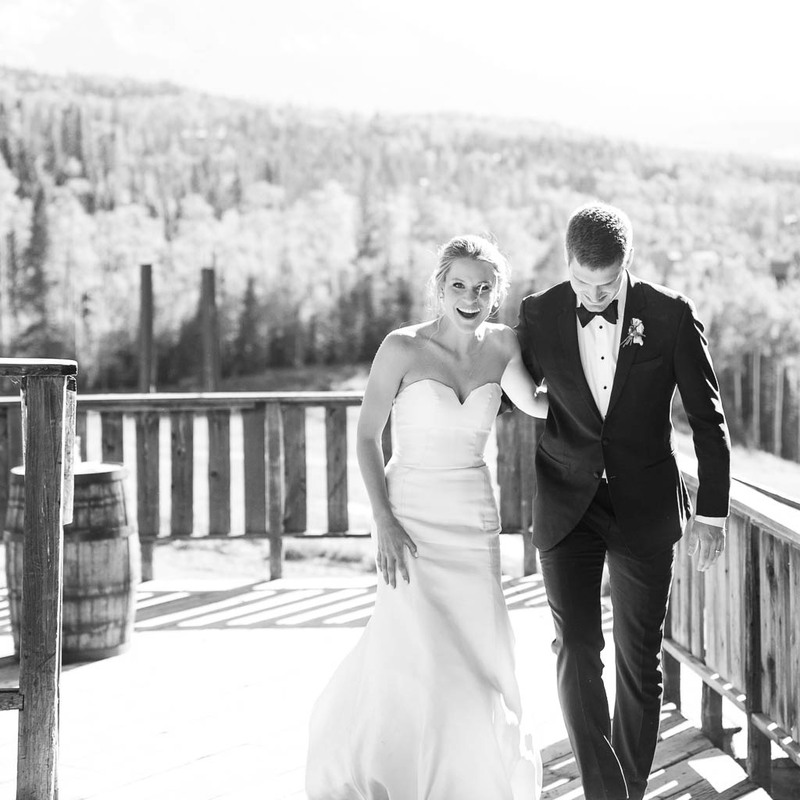 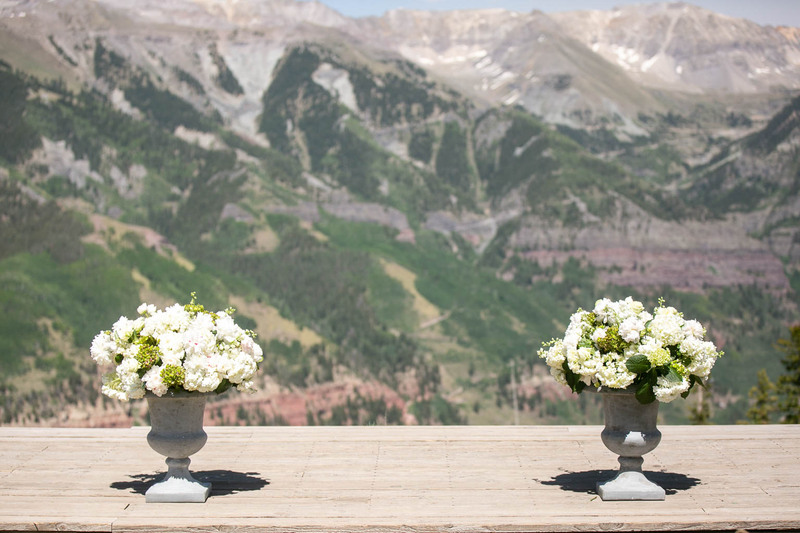 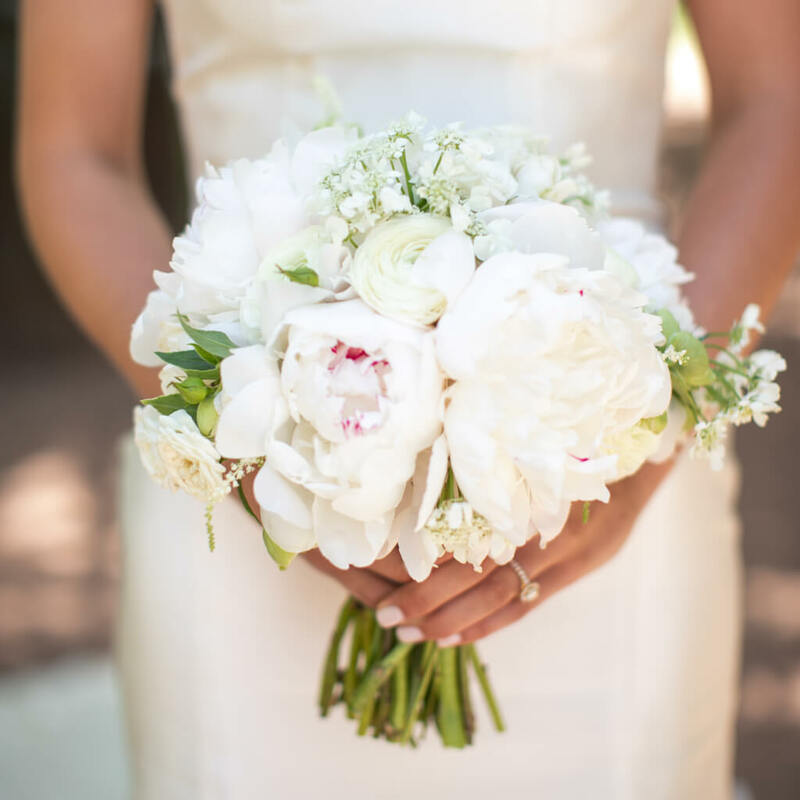 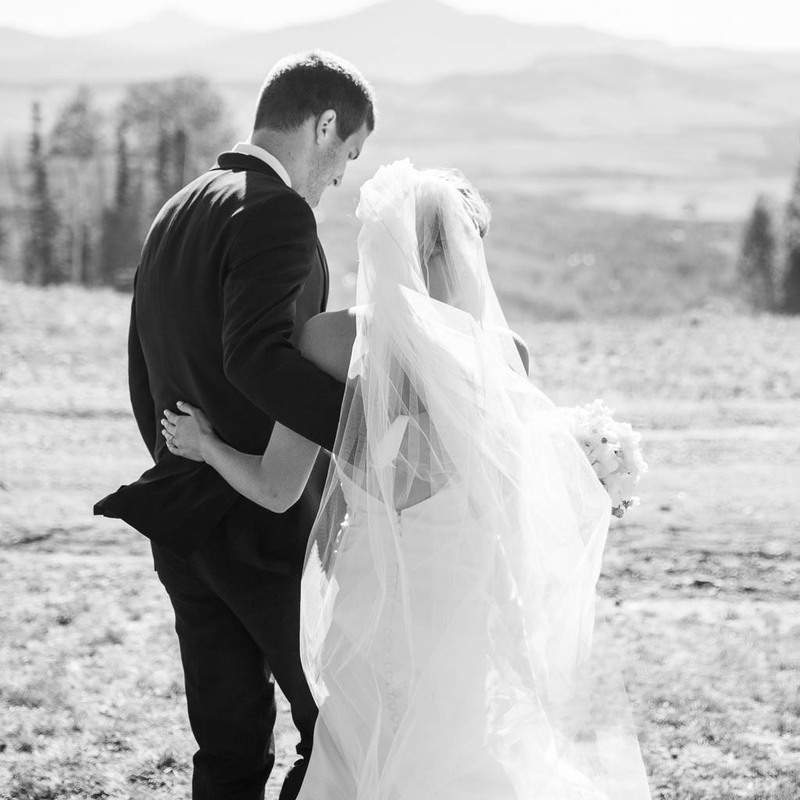 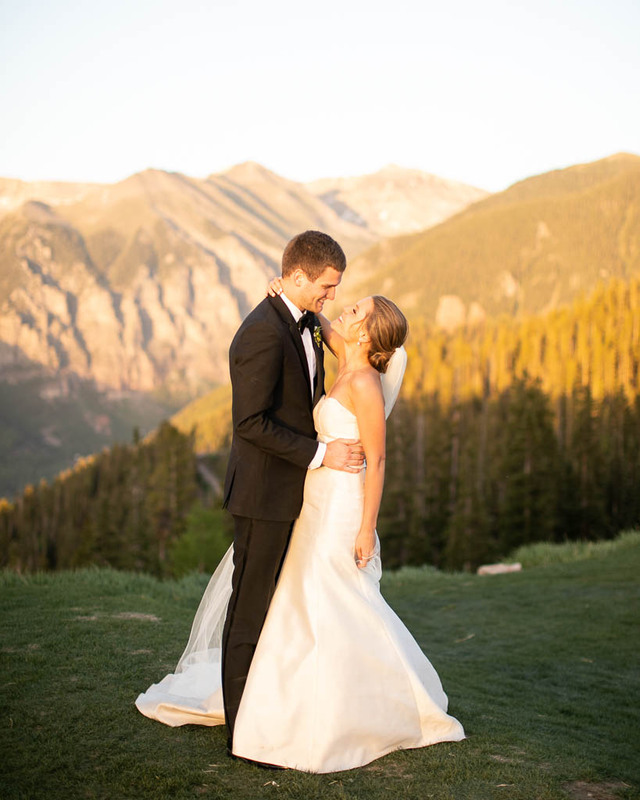 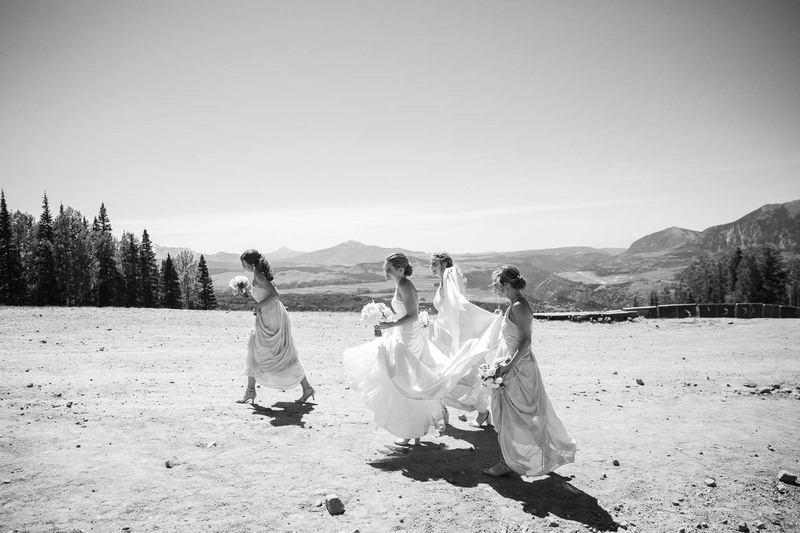 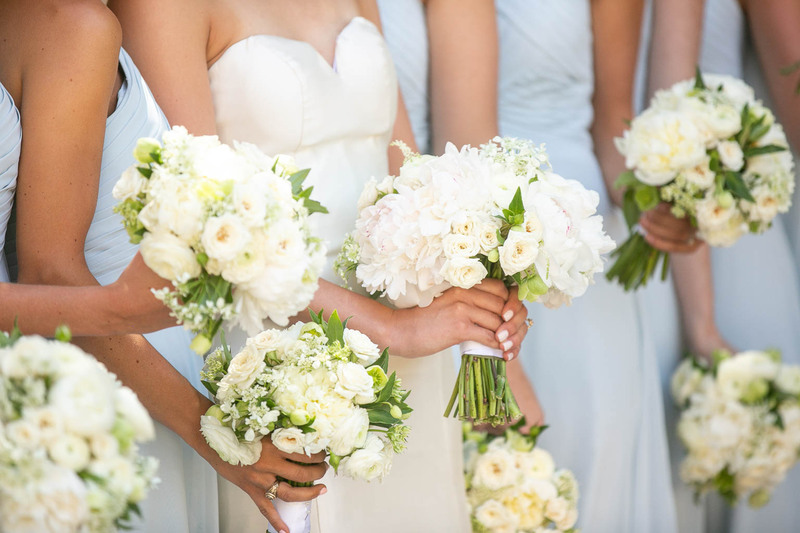 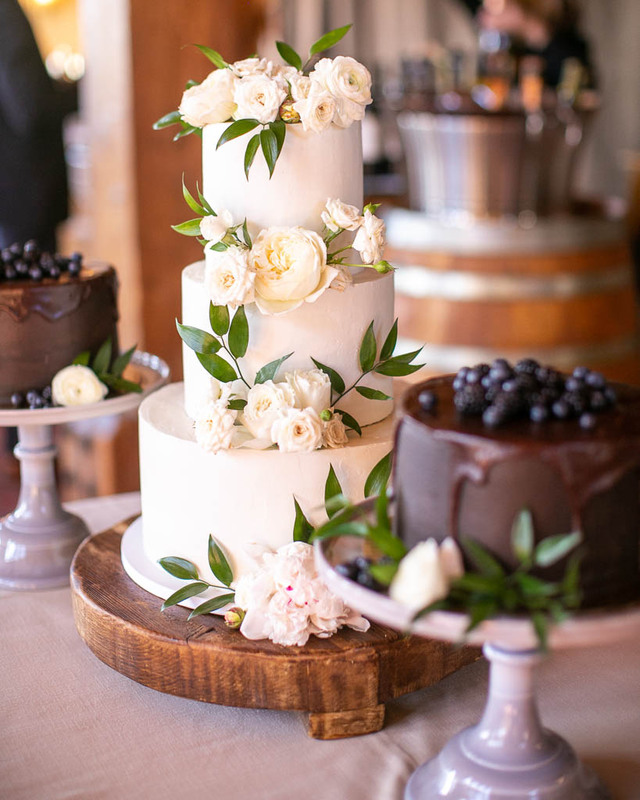 They worked with Meehan Fee of Telluride Unveiled to plan a destination wedding that featured rustic touches as well as a focus on the gorgeous views of the mountain setting. 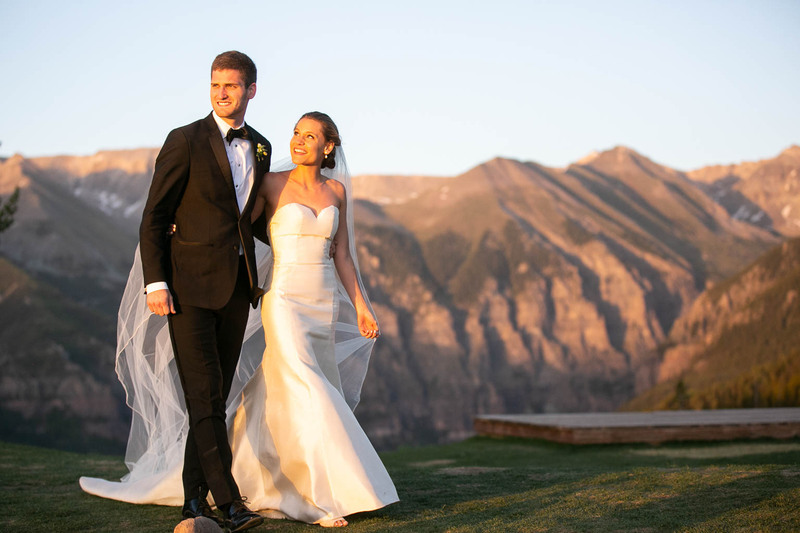 Guests took the Telluride Ski Resort gondola to the top of the mountain and walked up large granite steps to arrive at the San Sophia Overlook wedding deck for an alfresco ceremony offering stunning 360-degree views of the Sneffels mountain range to the north and the San Juan mountain range to the south. 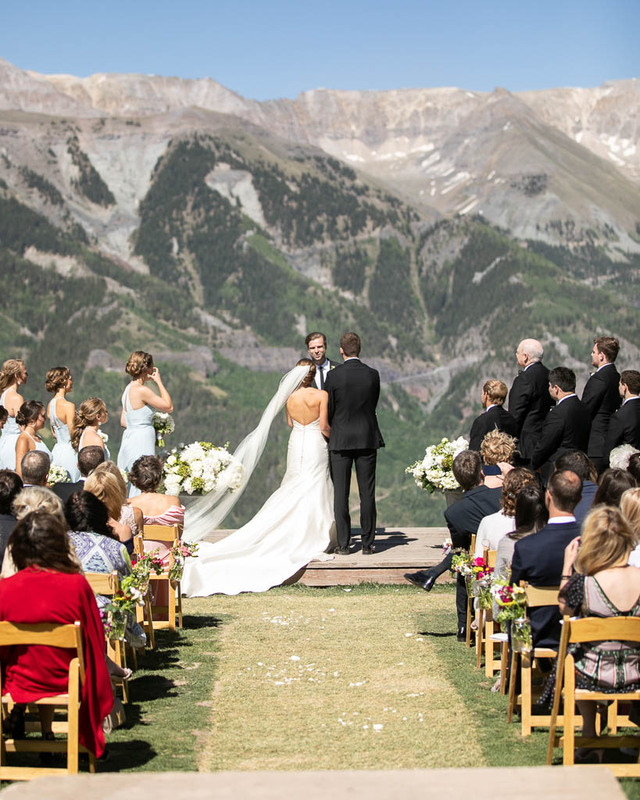 Attendees gathered on the grass lawn atop white chairs decorated with charming mason jars filled with fresh blooms. 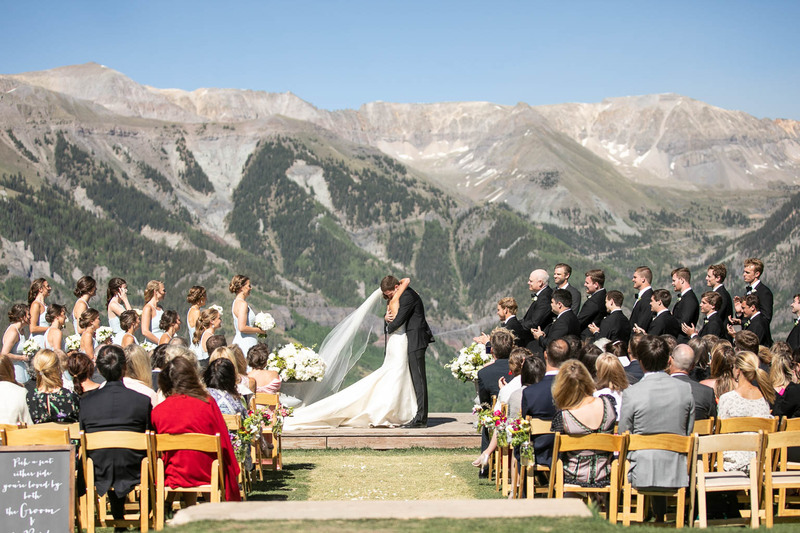 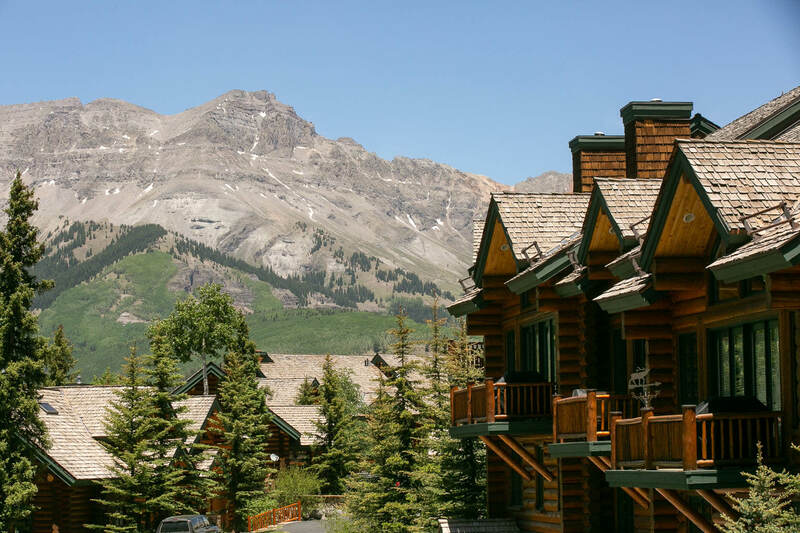 Friends and family then joined together at the nearby Gorrono Ranch perched on the side of the San Juan mountains. 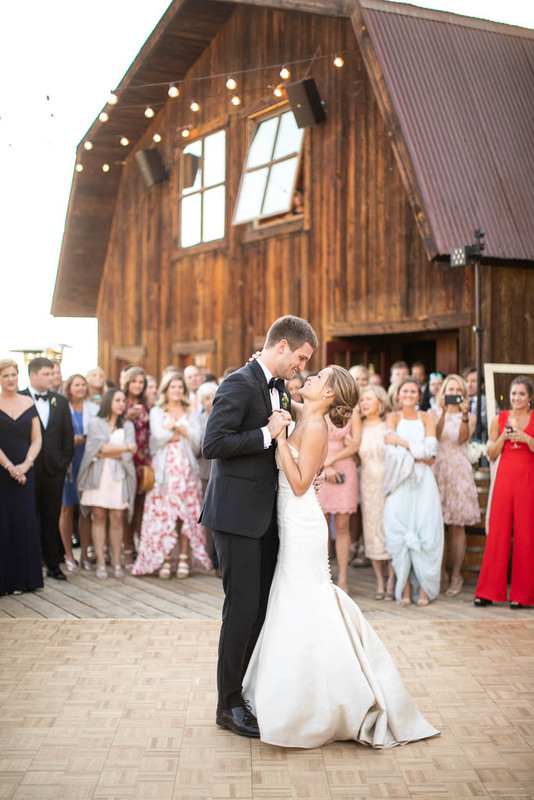 Dinner took place indoors in a room showcasing wooden beams and a romantic stone fireplace. 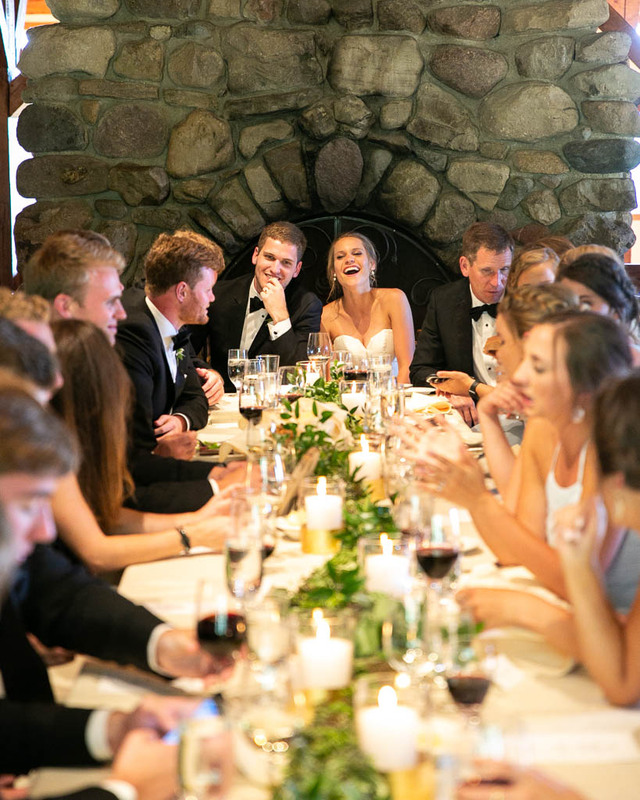 Attendees found their seats at tables decorated with gold candle votives and low centerpieces composed of ivory florals and greenery for the sit-down dinner service, sentimental toasts, and delightful conversation. 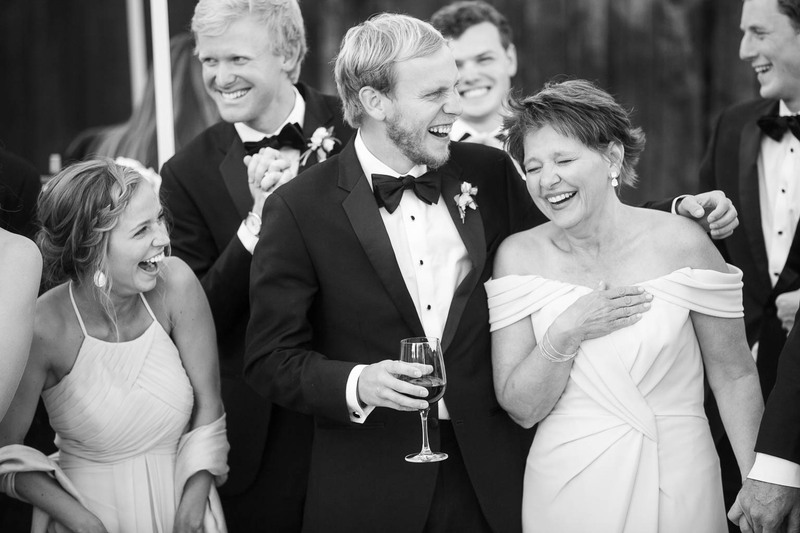 The party then moved outdoors on the deck for revelers to enjoy dancing to the live band with glow-stick favors. 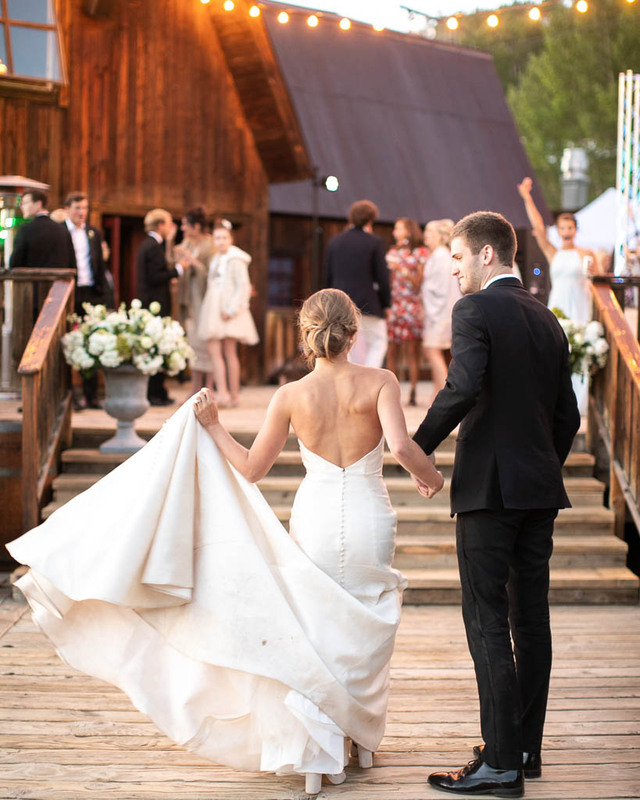 A romantic confetti exit for the new Mr. and Mrs. concluded the memorable evening.